I always liked DIY Jewelry and more specifically to create dangle earrings , like my Pearls Loop Dangle Earrings, because it was like hearing music in my ears! It is strange, I know! But actually I like their freedom…they can move following my steps! Also, I always try to create them with materials that do not need a small fortune, they are cheap but beautiful and trustworthy at the same time. For Spring I wanted something with white and gold, something with perals and diamonds… of course with their cheaper version! 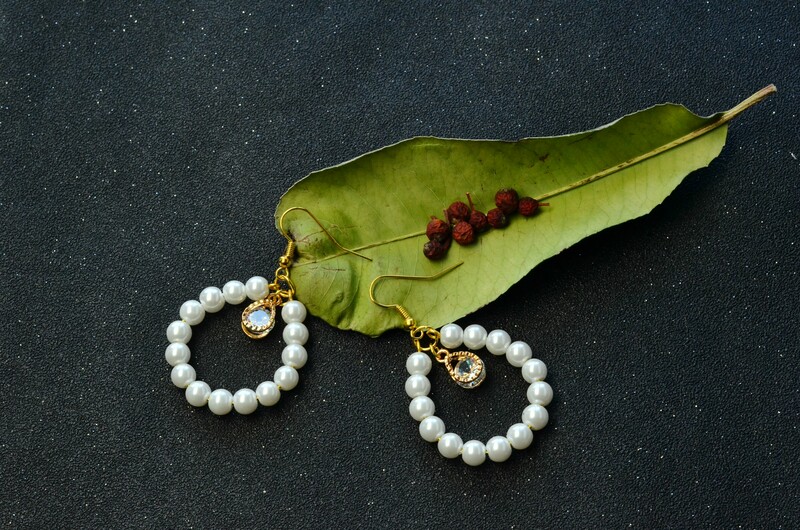 Join me to create our own Pearls Loop Dangle Earrings! 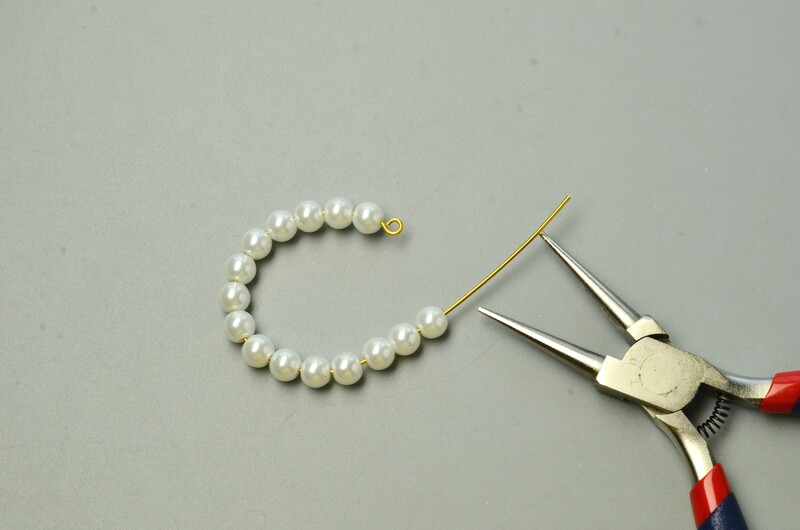 The pearls and charms dangle earrings are really easy to make them, so you do not need to be a jewelry maker expert. 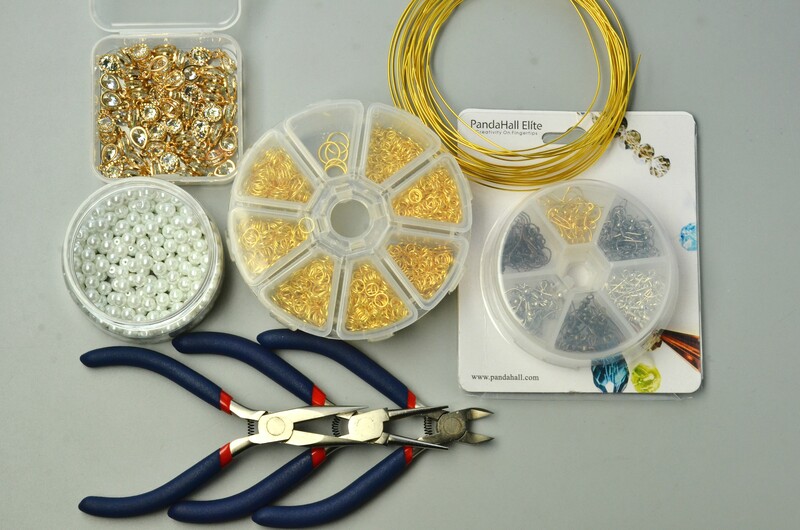 Actually is the greatest project to start experiments with jewelry, if you did not have so far. Let’s start them. First cut a piece of the Aluminium Wire (I got mine in gold shade) and make a simple loop in one ene. 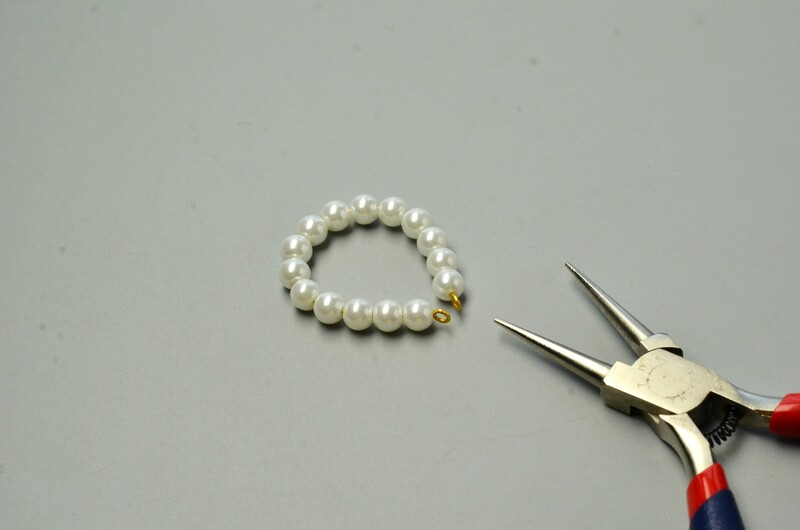 Pass the white glass pearls into the wire and make the loop as big as you wish. When the size is perfect for you, create another simple loop in the free end. Make a loop with the wire. A sparkle details now, since I am fan of the diamonds. Ok, it was not that easy to get a real diamond for myself, but this charm I got in drop schema, was just perfect from my earrings. Use a jump ring in gold color to connect the ends of the loop and the drop charm and close it. Finally connect to the same jump ring the earring hook and we are finished! So easy to make them and they are just adorable. 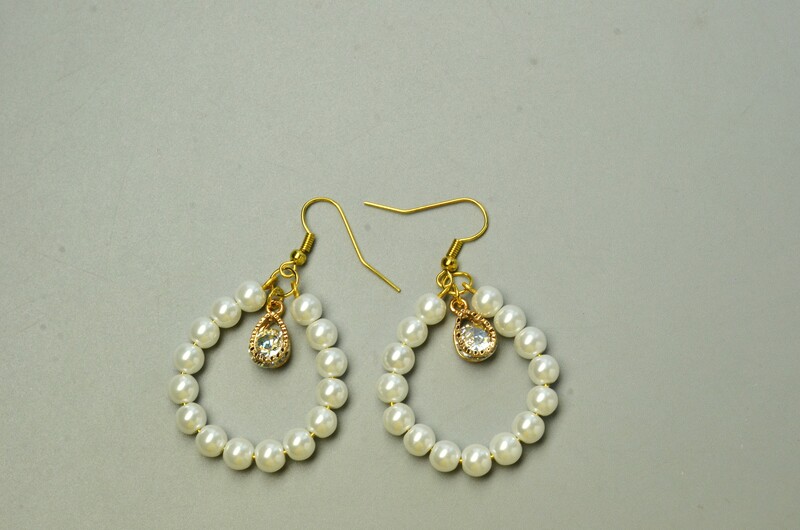 A jewel that combines the all time classic white pearls with the glamorous gold and diamond (of course with cheaper materials!). What I also like in these earrings is that the gold wire looks great in the tiny spaces between the beads. It makes them even more glamorous! All the materials I have used are from beebeecraft and you can find more amazing beads. Glass pearls with amazing colors and schemas, aluminium wire in more shades and of course your favorite alloy charms with your favorite gem. Thank you Zina for the hospitality! It was great to be here and share my easy dangle earrings diy! Indeed this was a really easy craft to make. 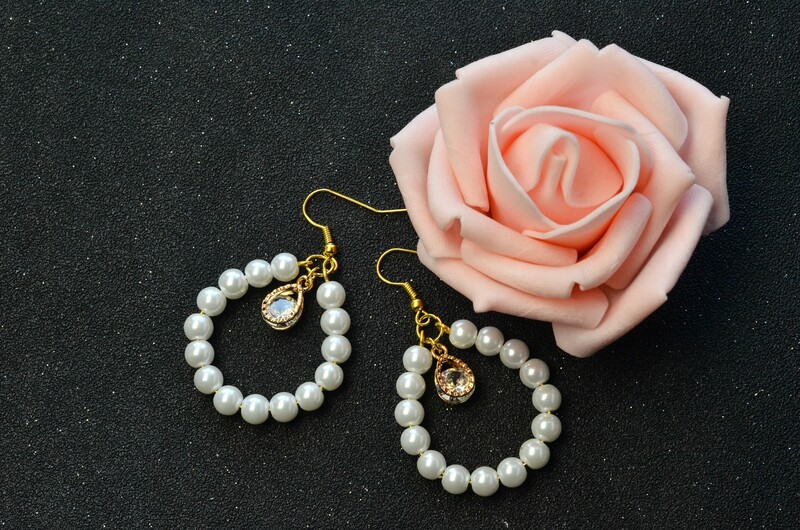 And since Mother’s day is close, what about create these beautiful earrings for her? Check also more available jewelry diy ideas here! Molly it was great to have you here! Thank you for sharing with us your creation.